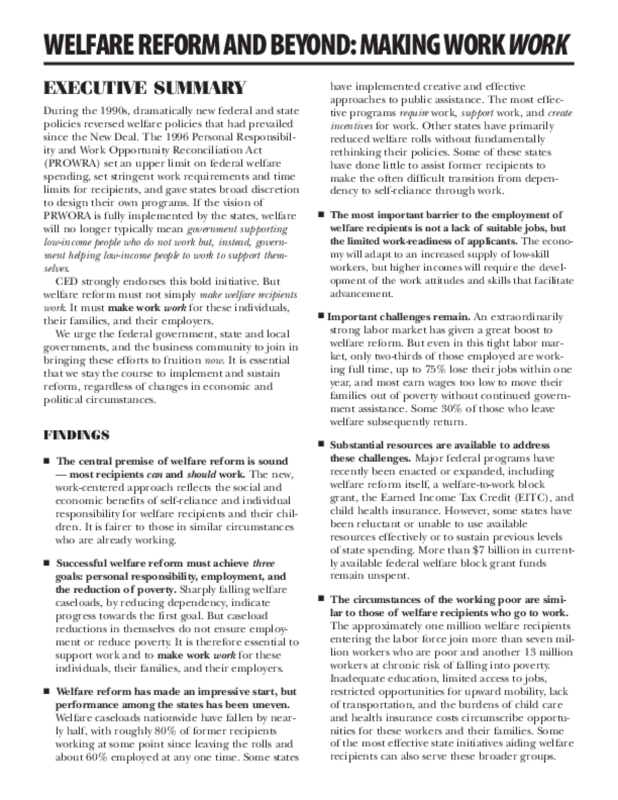 Executive summary of "Welfare Reform and Beyond: Making Work Work" report. Includes findings and recommendations in brief. Welfare to Work: What Have We Learned?